How to split recordings automatically and skip silence? 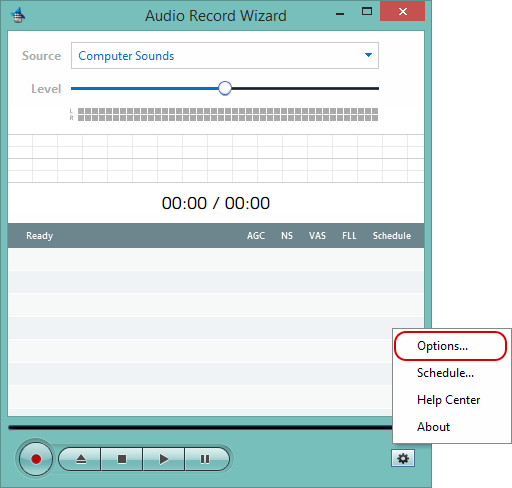 Audio Record Wizard can be set to split recordings automatically as they are made based on file length, file size or silence. 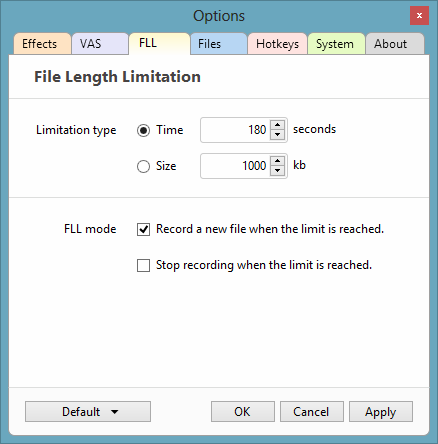 If you would like to split recordings based on file length or file size, go to 'FLL' tab, select the appropriate settings here, then enable 'Record a new file when the limit is reached'. If you would like to split recordings based on silence, go to 'VAS' tab, select the appropriate settings. 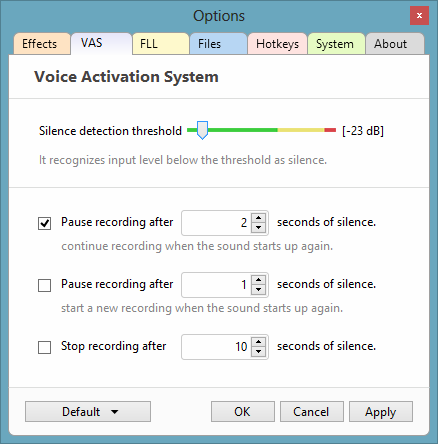 In order to let VAS work properly, please do some test recording to get an appropriate value for Silence Detection Threshold. Audio Record Wizard recognizes input level below the threshold as silence. Please set up VAS properly, then enable 'Pause recording after X seconds of silence, continue recording when the sound starts up again'.